This Projection Weld Screw features an offset thread design and is particularly well suited for welding to the sides of components or sheet materials. This weld screw can be welded to tubing as well as other components with curved surfaces. It incorporates two precision weld projections positioned on an offset spade enabling a strong weld on a variety of surface types and materials. 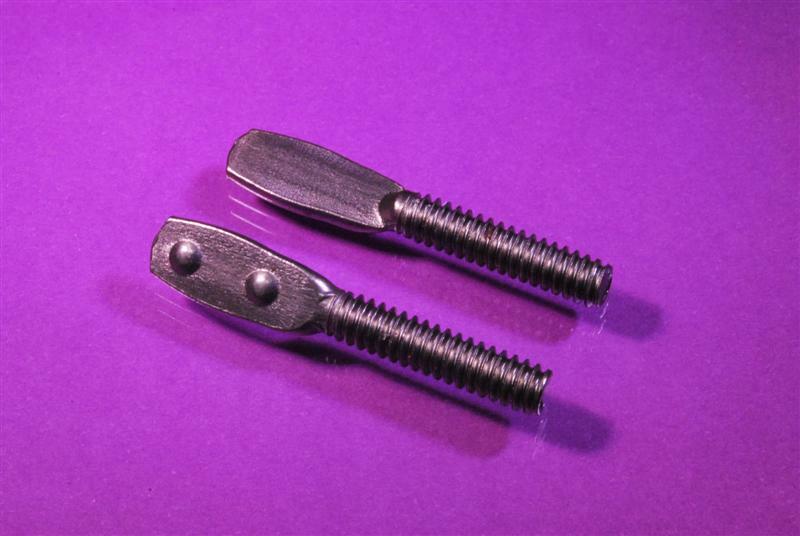 These industrial fasteners are available from JHP Fasteners in a variety of materials, dimensions and thread sizes. This projection weld screw can be effectively welded to the sides of components as well as to tubing and other curved surfaces. It is often used for the attachment of covers and lids. It incorporates two precision weld projections positioned on a sturdy spade to ensure strong and reliable welds. This weld screw has been cold formed to provide superior strength and dimensional integrity. For applications that require a weld screw that can be attached to a variety of surface shapes, this projection weld screw is an ideal choice. Its unique design characteristics make it a popular choice for the attachment of product coverings and lids. Its sturdy design ensures that resulting welds will be strong, balanced, and durable. JHP Fasteners has 40 years of experience in the industrial fastener business. We carry a full suite of industrial fastener products and pride ourselves on our ability to stay abreast of all industry trends and developments. Contact us for any industrial fastener requirement you may have. We will work hard to win, and retain, your business.